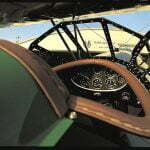 “The three Taperwings that were entered in the 1928 Transcontinental Air Derby finished in first, third and fifth places. Gladys O’Donnell won the women’s closed-course race at Cleveland, and the records kept piling up. Fast as it was, however, it was the Taperwing’s ability to dance that made it a legend. 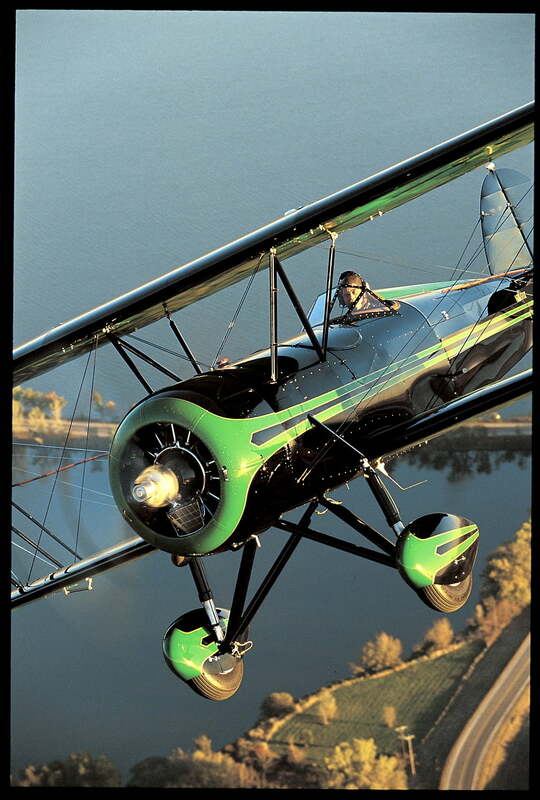 For nearly two decades, the WACO Taperwing was the king of airshow aerobatics, and everyone who wanted to wow a crowd, from Johnny Livingston to Tex Rankin or Len Povey to Freddie Lund, flew one. On comparison with NC-6714 and NC-8531 you will note that the fuselage has a decidedly rounder shape. It has, in fact, the same structure, but the form is rounded out to fair with the engine cowl. 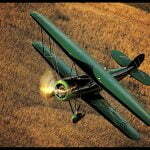 Waco also did this on a custom basis for race pilots and called the process “barrelizing” the fuselage. 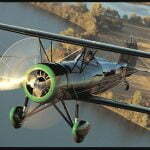 Although it is a 1928 design, this aircraft has been equipped with all the modern conveniences. 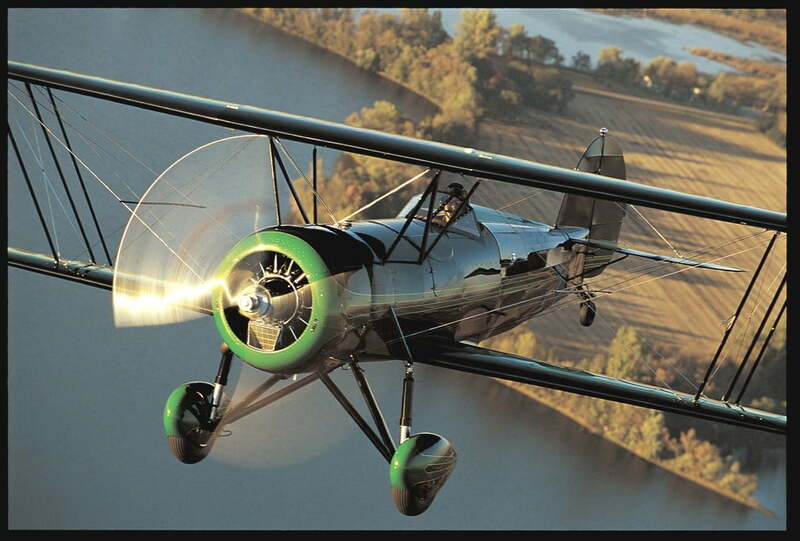 A 275 hp Jacobs by Radial Engines Ltd. is installed, with Airflow Performance fuel injection by Rare Aircraft. It has a GPS navigation system, a COM, transponder, encoder, and full intercom, and a Shadin fuel flow analyzer. 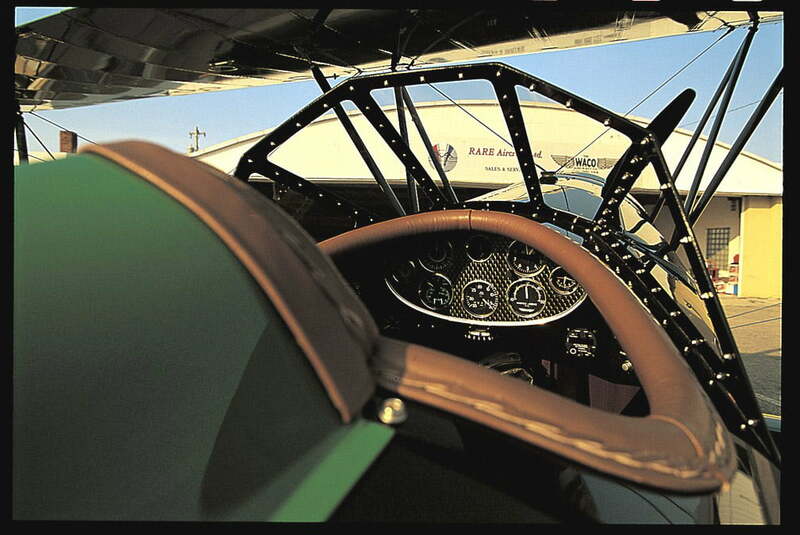 A custom leather interior by Airovation was installed, and the aircraft is finished in a custom polyurethane finish with the two colors separated by a fine gold pinstripe. 5HX first flew in the summer of 2000. 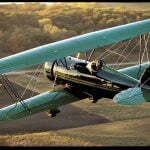 It was shown at Oshkosh 2000 where it received the runner up award for replica antique aircraft. 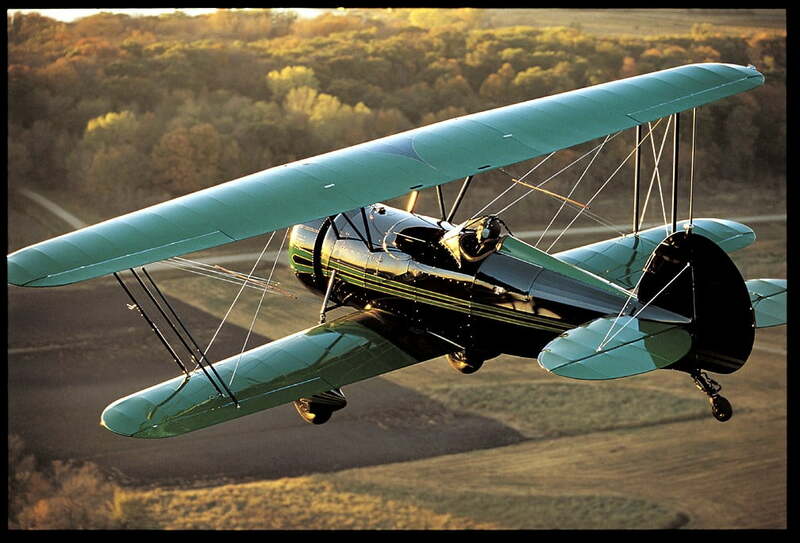 It has great cross country capabilities, true to its Taperwing heritage. It cruises at about 140 miles per hour and has a 5 hour range. 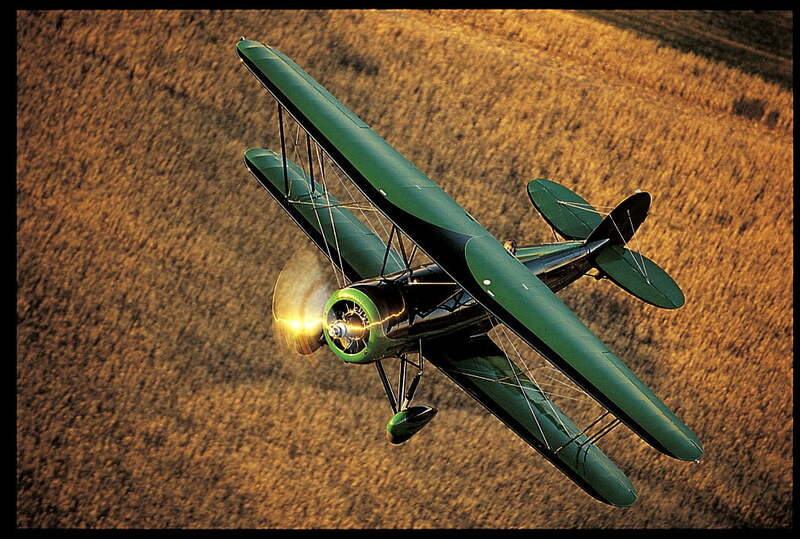 For identification purposes we call this a Waco CTO-R, the “R” denoting replica.